Should Classic have Achievement Points? What an enormous assumption to make based on something relatively trivial. My original account was banned years ago! Just give Classic a try, you might actually like it. I originally played on a dwarf paladin for eight months during classic. I was banned for inappropriate conduct in Goldshire. Have you only ever played on/used one account in all these years? These threads always end up the same. A person that has spent 0 seconds using the search-engine on the forum makes a washed out topic based on a personal agenda, describing it as a general problem for Classic or something that “wont affect the game”. The post get’s little support by a majority of forum posters, often beeing short in their answeres as they are tired of the same old things coming back to haunt them. The original poster starts questioning “why”, and longer more elaborate answeres are provided by patient forum posters. The original poster starts pointing fingers to how everybody are brain-washed, fanatics, etc for not supporting his idea. This thread isnt even about achivments in the end, its about the idea to somehow separate “good” and “bad” players, disguised as a achivment suggestion. The last thing Classic needs is some fake-elitism crap with achivments, causing more harm than good to the community. Like a “bad” player wont be able to semi-afk his way throught UBR - then what do you have to differentiate him from the rest? Or is this a Raid PuG thing? Tell me how “good” a player is that cant join a guild but still needs a way of “knowing the difference between good and bad players” for his own little PuGs? 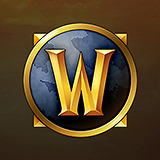 I remember when this started in WOTLK when people used fake achivments or even started their own groups and demanded OTHERS to have the achivement while they didnt have it themselfs. Wasn’t really a thing amongst harder content or amongst better guillds, but more of a thing on the street to feed your ego. Diffrence between Vanilla and later expansions is that the road to 60 isn’t a dance on roses. The leveling in itself is a threshold for what comes later, and one can be sure that even if the players joining arent “the best” they are “good enought” for the task ahead. Because face it, Vanilla it’s not that hard individually to start with. Like already mentioned. If I was “scared” of bad players joining my raids, I wouldnt PuG - I’d get a guild and it will all be sorted. So you making an assumption that I am a thief because I mention other players who choose exploring private server is not an enormous assumption but only fair remark? Huh, dude, this is unwarranted! From what we’ve all seen on these forums recently, it’s quite obvious that there’ll be no ‘fake elitism’ on Classic WoW. That’s a little spinning the words. No , you pay to acces blizzard server as always, but now you can download classic for free. ahum so ‘thieves’ here you don’t take seriously but uhhhh we should take the words of someone BLIZZARD HAS BANNED BEFORE seriously? I’m not telling you to take me seriously. I was banned at a very young age for very immature activities. I was still paying for my subscription. Now if you’ll excuse me, I’m going to go and torrent Game of Th- I mean, uhm, I’m going to go and purchase the right to watch Game of Thrones! Totally. It will not be easy even for the best of guilds to have 40 online every night they raid, and pugging and a filter system will be necessary for that. Any serious guild didn’t pug people in the sense I think you meant it. Guilds had arrangements with other like-minded guilds, and shared bench-warmers when need be. You don’t pug raids in vanilla if serious about raiding. The lock-out mechanism is a cruel mistress if picking the wrong people. If you did not eat the dinner, and paid for all of it just to get the fortune cookie because fortune cookies are not free or available otherwise then yes - You paid for fortune cookie and not the dinner…clearly you did not need dinner. I am thinking this was rather obvious…When classic is bundled with normal sub and you pay it only to get classic then you pay for classic and most definitely do not get it for free. I cannot see how anyone can view this any other way. Unless it’s given free of any charge then it’s not free. The only people I see here objecting to this are the ones who have little to no serious achievements in WOW at any level of challenge. Then link your main? You seem pretty adament about how others don’t meet your criteria while boosting you know it all. So at least let us see your main, and we can take it from there. From what I have read so far though, you would fit nicely in with Ion’s old guild and their mantra’s. As for achievements, it will be a blank no from here. They are not needed in any capacity. It’s already been mentioned how it leads to link this or that to get access to our little exclusive club. Another factor is, people will alter their game-play in various ways to get achievements, which in some cases, I could see being detrimental to group-play when there are achievement agenda’s on the table as well. Lastly. They’ve already stated, Classic will be as close to vanilla as possible. That means no achievements. So with that info, it is rather futile to waste energy advocating for it. They are not adding anything that wasn’t there, and especially not something that would alter how the game is played, if they can help it. By that logic, they shouldn’t let people link equipment either. So with that info, it is rather futile to waste energy advocating for it. They are not adding anything that wasn’t there, and especially not something that would alter how the game is played, if they can help it. And I generally see this thread as more of a ‘what if’ scenario. We all know Blizzard will probably stick to their guns, but there’s nothing wrong with people discussing alternative possibilities. In vanilla that’s more of a grey area. You can raid MC just fine in blues and a few pre-BiS items, not a big deal. And I generally see this thread as more of a ‘what if’ scenario. Don’t know about that. OP seems pretty carried away advocating for it to happen. I have a habit of just going off the original post tbh. I’m curious to see some better answers to the whole ‘why would this be a bad thing’ aside from the prestige linking or ‘it adds nothing to the experience for me’, etc. People could do plenty of adverse things to complete an achievement. Stratholme run with master-loot, and then ninja’ing the mount for himself for the acievement for example. Stuff like that. Of course, he could do it anyways, just for the rarity, but it would be another incentive. Finally, a new one! You wouldn’t believe how long I’ve been waiting for that. In regards to that though, what steps are they going to take towards ninja looters? They weren’t very good at it before. In 5-man’s nothing. People have to deal with it like adults. Not the end of the world if someone ninja’s, just irritating and someone to avoid in the future. Raids however, will have loot-trading for 2 hours. I already mentioned or hinted at it further up in that post you quoted me from. Another factor is, people will alter their game-play in various ways to get achievements, which in some cases, I could see being detrimental to group-play when there are achievement agenda’s on the table as well. This isn’t a game of Classic with all the bells and whistles that I think don’t affect the experience, it’s a faithful recreation intended to replicate the original experience as close as Blizzard can. Some of us are clearly of the opinion that we’d entertain the notion of a classic WoW with some of these additions. We are aware that that’s not going to be the reality, but we wouldn’t be overly bothered if it is entirely accurate or not, so long as it’s primarily the same. A few cosmetic changes wouldn’t bother me one bit. I’d like to think there’s more hope for something that can evolve even a little bit, rather than just revisit old territory. It doesn’t have the feel of an online game as it stands. More like, an online MMORPG museum.